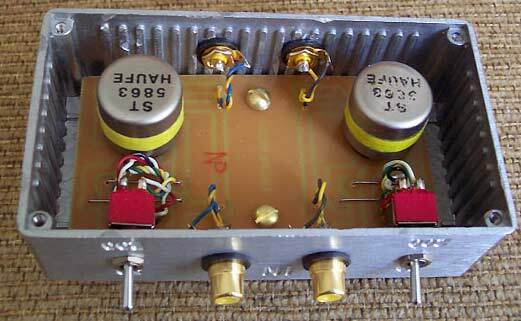 Here's a pair of German made Haufe ST 5863 transformers, mounted and ready to use with your moving coil cartridge. Haufe, of course, is famous for having manufactured the audio transformers used in some of the finest vintage high fidelity and professional german and european audio equipment, including Telefunken/Siemens recording consoles, Klangfilm theater equipment, etc. These transformers were originally designed as microphone transformers and are specified for 50 or 200 ohms into 50K. As you can see, this box has switches allowing either of the two impedances to be used easily, corresponding to 1:30 and 1:15 step up ratios respectively. They are rated for 20-20,000 Hz with microphone impedances, and with the very low source impedances of most MC transformers, the bass response should easily exceed specification. These transformers also have interwinding faraday shields, but since the primary is unbalanced and in this case shares a ground with the secondary, the faraday shield is left floating. There's a spot on the circuit board where a jumper can be installed to earth the shield if you'd like to try that, however it shouldn't be necessary. The two channels are kept completely separate, not sharing switches or grounds paths. 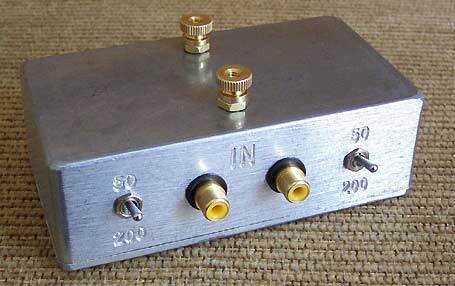 As a result, the box itself is not attached to an audio ground and should be separately earthed for shielding. 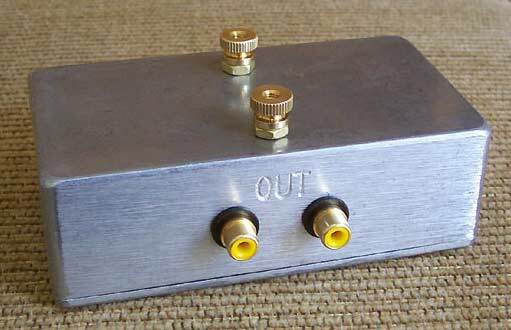 This can be done by attaching your turntable's earth wire to the input lug, and running another wire from the output lug to your preamp's ground post. The transformers are removed from equipment, but all the other parts of this box are new, have never been used other than to test.